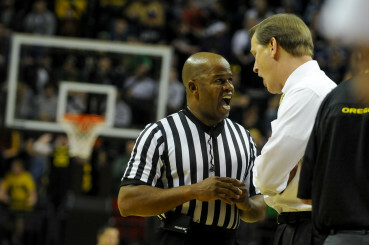 I’ve never seen a coach who argues with a referee with his arms folded. It is the day before the National Championship for college basketball, and for the third year in a row, the opponent that knocked the Ducks out of the dance has gone on to the final four (2013/Louisville, 2014-15 Wisconsin). This fun little statistic is a perfect microcosm for Oregon’s basketball program, flirting with greatness but coming up short. Coach Dana Altman has turned Oregon’s basketball program into a yearly contender, however, pulling off consistent 20-win seasons, and has laid the groundwork for the potential to build a powerhouse. 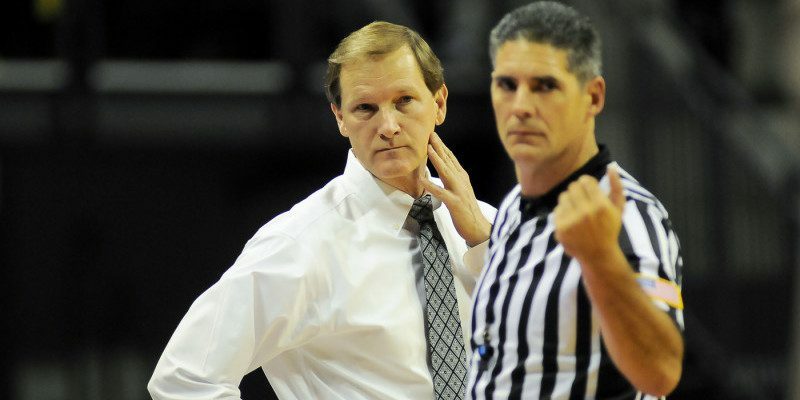 This is a key turning point for Coach Altman and the Ducks, it will determine whether or not a few really good seasons will lead to long-term success for the program. The reality is, even an NC does not always solidify a program’s place in the tier of a powerhouse; teams such as Indiana State, Arkansas, North Carolina State, University San Francisco, and Texas Western (now known as the University of Texas El Paso) are all examples of teams who have won championships but were not able to come close to using that momentum to build their programs into yearly contenders. 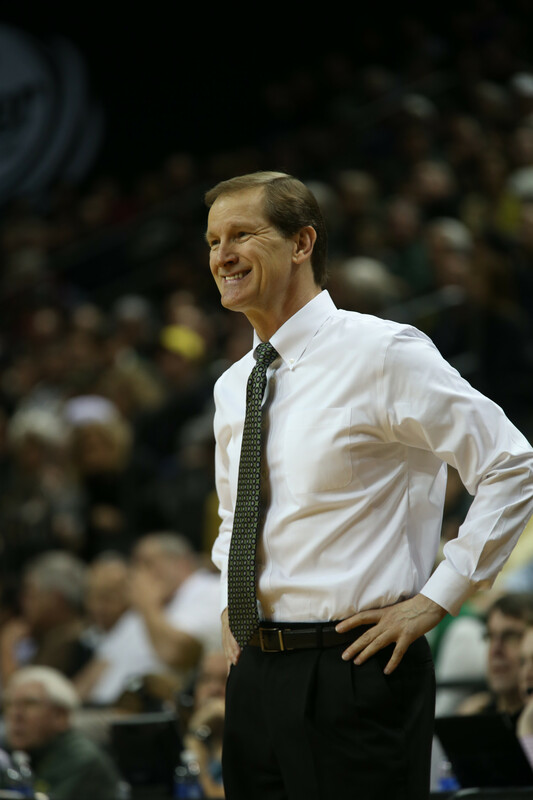 Head coach Dana Altman does something he rarely does in a game: smiles. Since the first ever championship in 1939, Oregon has belonged in this category, with small flashes of returning to their former glory (Kamikaze Kids, the Aaron Brooks Era, etc.). But it looks like Oregon is taking another shot (pun intended) at reaching powerhouse status. As my colleague and good friend Jason Selby put it so eloquently in his article about Oregon basketball’s future, it all comes down to recruiting. Don’t get me wrong; there is no denying that Altman has stepped up his recruiting game immensely. Next year’s recruiting class speaks for itself, and Altman has been able to recruit talent in every region of the country for his entire coaching career. However, the Ducks historically have an elephant in the room when it comes to recruiting: the Ducks had an issue with capturing the State of Oregon. Altman himself, has a knack for recruiting out of state. He learned how to recruit out of state when he coached for Kansas State (1990-1994) and was constantly little brother-ed by the Kansas Jayhawks. He mastered this technique while he was the head coach of Creighton, in which he recruited out of state stars such as Kyle Korver (Lakewood, CA), Rodney Buford (Milwaukee, WI), and Anthony Tolliver (Springfield, MO). At the same time, Altman was able to dominate the State of Nebraska recruiting-wise over the Cornhuskers. To be fair, recruiting in-state for Altman at Creighton was more of a necessity than a choice. However, Altman was able to use this to his advantage. With everything that Oregon can offer to a young in-state recruit, it should be an easy takeover. On a consistent basis, Oregon isn’t the most sought after state to recruit Division 1 basketball talent and it would be naïve to expect to be able to recruit mostly in state and remain competitive on a national level. Very few states have this luxury (California, Texas, Florida, Illinois, etc.). However, every once in a while, a player comes along from the state who breaks into the top-150 recruit ranks, and who tends to slip through the fingers of the Oregon recruiting staff. Kevin Love, Kyle Singler, Terrance Jones, Terrance Ross, Ronnie Brewer, etc., are all players that were born in Oregon but left the state to play for established powers. 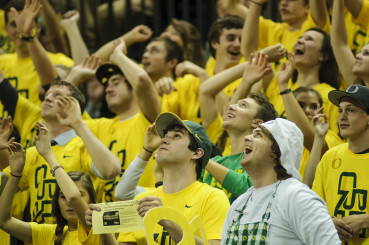 The Pit Crew love their Oregon-raised stars. Take a look at this list of the top 25 NBA players to have been born in the great state of Oregon. Out of 25 players, only two played for the Ducks (Luke Jackson, Terrell Brandon). Sadly, history has repeated itself. Payton Pritchard, who is ranked as the 40th- best high school player in the 2016 class and is from West Linn, Oregon, has committed to Oklahoma. Oregon’s recruiting staff needs to stop the bleeding of home grown talent, and utilize the major cities that Oregon has, especially Portland. It would be wise for the recruiting staff to strengthen its scouting within the state, and create productive relationships with the Oregon high school basketball. The more connected the Duck’s basketball recruiting is to the State of Oregon, the more a basketball culture it will, in time, create for the state as a whole.